We’d like our area to be friendly for bees and other pollinators. Depending on the region, 50% to 90% of the world’s bees have disappeared. This is a big problem; around one in every three bites of our food depends on pollinators. Fortunately, we can do a lot locally, by planting bee friendly plants in our gardens and communities, and avoiding bee-unfriendly pesticides. Below are details of what we’re doing and further information about how you can help. Our current project is encouraging people to use their own gardens to help pollinators and wildlife by planting attractive and wildlife-friendly plants. 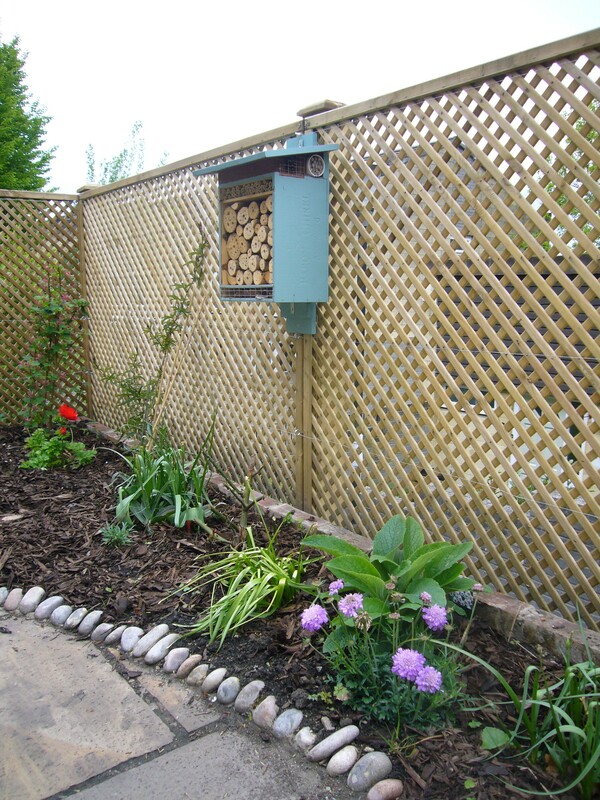 If you are considering what to do with your garden, we would be happy to discuss ideas, since several of us have been experimenting with species of bee-friendly plants and can recommend species that thrive in our area. Also if you have experience of what works for wildlife, please get in touch to share your knowledge! Ruth’s Garden project is now up and running with photos and gardening advice. If you have any questions, email info@widcombewest.uk for further information. You can see the full detail of our work to date in the documents below; starting from a fundraising and awareness-raising event “Fish & Chips for the Bees” in winter 2013, to the clearance and planting of our first patches on the woodland edge opposite Calton Gardens, to planting about 2200 bulbs throughout the neighbourhood with the remaining funds – for each £5 raised we planted over 40 bulbs! 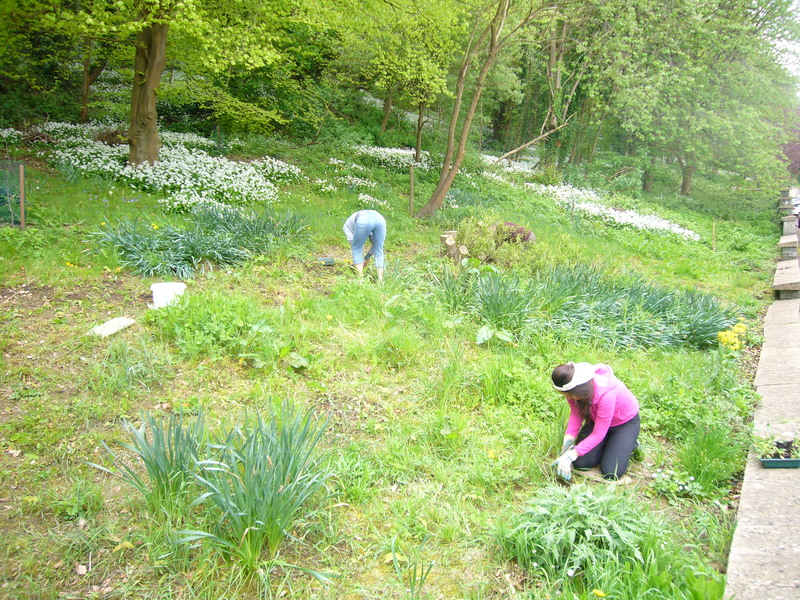 Last year, local volunteers planted one hundred and fifty native wild flowers on the ‘Wild Flower Area A’ in Calton Gardens as part of our continuing ‘More Beechen Bees’ project. The plants comprised a ‘Hedgerow’ selection suitable for growing in the semi-shade towards the front of the area. We hope that adding to the range of the wild flowers will help sustain the population of dependent wildlife – as well as making the area look attractive. 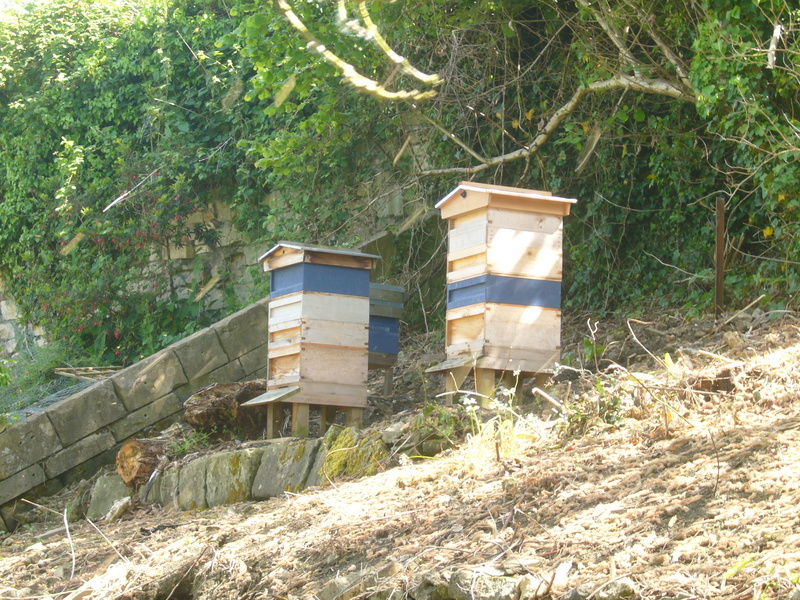 The funds for these plants were partly raised from donations made for ‘Bee hotels’ constructed mostly from waste, scrap and surplus materials, plus some free basic carpentry skills. One of the ‘hotels’ is pictured in Sara and Jason’s newly designed back garden. The plants were bought as ‘plugs’ in early April and immediately transplanted into trays so that they could grow into plants able to survive the re-planting process a month later.